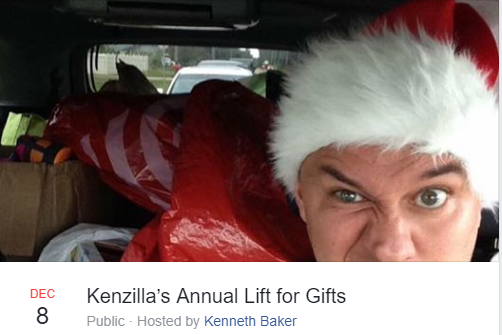 Ken Baker will be hosting his Annual Lift for Gifts here at Gold’s Gym Tampa, Saturday December 8th, starting at 10:30. Ken works with Friends of the Children to help foster and at-risk youth in the Tampa Bay area. In addition to the workouts going on, we are also holding a toy drive. All the toys will benefit local foster youth and at-risk youth in the area!!! Many kids that enter foster care literally only have the clothes on their backs. Let’s make some kids smile this year!!! The toy box will be at Gold’s Gym Tampa starting now through the December 20th. If you join us on the workout, expect break out groups of 3-5 with a volunteer trainer as a leader of each group. This has always been a great way to meet fellow whacked out lifters that share a passion for giving back!!! We have tons of fun and best thing: it’s for an awesome cause. WEAR CHRISTMAS COLORS OR CHRISTMAS THEMED ATTIRE!!!! Don’t be shy!!! Click here for more information about the Friends of the Children organization.